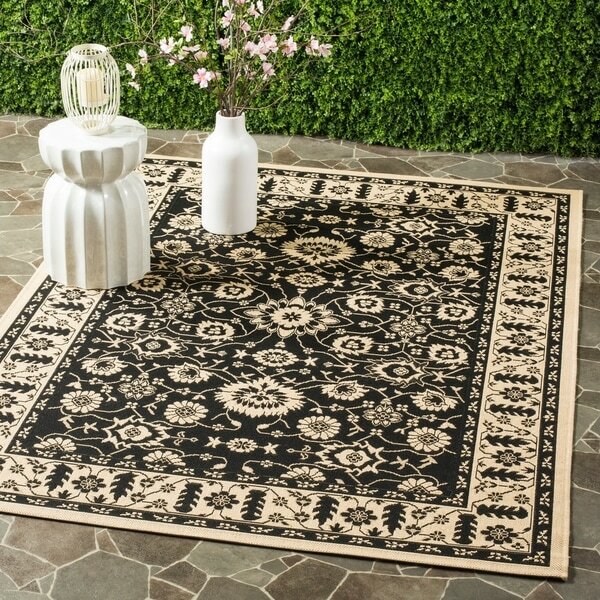 Safavieh Courtyard Oriental Black/ Cream Indoor/ Outdoor Rug - 4' x 5'7"
Safavieh Courtyard Oriental Brown/ Cream Indoor/ Outdoor Rug - 4' x 5'7"
Perfect for any backyard, patio, deck or along the pool, this rug is great for outdoor use as well as any indoor use that requires an easy to maintain rug. This rug has a black background and displays stunning panel color of cream. This power-loomed rug is resistant to mold, mildew, sun, water and other elements. I ordered and returned the item because I received a rug that was black, cream, and red, not black and cream. I reordered and the same thing happened again. There must be a discrepancy between the online order number and the warehouse number. I gave up and ordered the rug from a different vendor and received the correct item.